Working as a Support Specialist at GrantWriterTeam.com, I am privileged to work with nonprofit organizations in need of grants, as well as the professional grant writers that are ready and able to assist them. The nonprofits that we work with have a vision. They know what they stand for, how their mission will help their community, and what they need to succeed; but they may not have time to search for grants or know how to articulate their need for a grant. We encourage grant writers to become new members of GrantWriterTeam. To do this you need to fully complete your profile and comply with our guidelines. GrantWriterTeam was created to create a pleasant experience for both the grant writer and the client, through a system of deliverables, paid through our payment portal. Grant writers will increase their income with new clients and gain even more experience with a wider variety of grants, in many categories. GrantWriterTeam is a consistent source of new grant writing opportunities within the grant writing community. Why miss out? Our grant writers use GrantWatch.com as a successful grant search tool. Nine times out of ten, the writer who shows more concern is the one that wins the bids. So, stand up and show concern! By this, I mean: customize your bid to your strengths in relation to the request for a grant writer. As a Support Specialist at GrantWriterTeam.com, I see grant writers who are nervous to bid on projects. To win it you need to be in it. Get in there and present yourself! 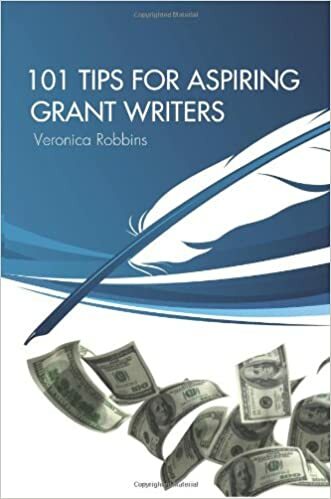 The following book might help you through your journey (after you have successfully bid on a project at GrantWriterTeam.com): 101 Tips for Aspiring Grant Writers by Veronica Robbins. In it, Robbins discusses the sections of a grant proposal. It is a great reference book for novice and seasoned grant writers alike. Sign up as a writer at GrantWriterTeam.com and start bidding on projects. We are looking for writers with experience writing successful grants. For questions, call us at (561) 249-4129. About the Author: Tracy is the Support Specialist at GrantWriterTeam.com. She is delighted to inform the public with the knowledge and experience she gains from working with her CEO, Libby Hikind. Tracy can be reached at 561-249-4129. Your team of professional writers really helps others to succeed. This is a great opportunity for grant writers.